Huang Lan, a prominent producer who's responsible for dramas like Ruyi's Royal Love in the Palace and The Imperial Doctress, recently shared her thoughts about the historical ban rumors. Huang Lan says that she can understand why the country would want to take measures to limit historical dramas because there really are too many. Everyday, the industry looks towards the historical past for inspiration. She shares that a reason everyone loves the genre is because it's not difficult to make. Preparations are focused on technical aspects, costume, design, setting and even knowledge of history. Because the conflicts around these stories are intense, people generally love to watch it. On the other hand, realistic themes do not have big conflicts. There are many details to consider in a modern drama and to capture those details is difficult. She says that if the story is put into ancient times, there is more freedom to create. The characters can also go through extreme ups and downs, many elements can be added along with the potential for time travel. However, she says that costume dramas to a certain extent start to have too many similarities. Just like how war dramas were popular for a time and were starting to look the same, costume dramas face the same problem. 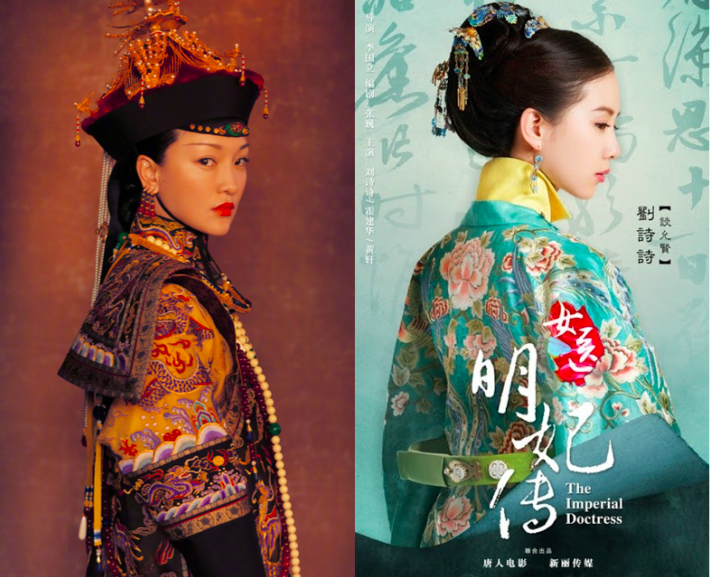 Hence, Huang Lan believes that a limit on costume dramas may seem like an order, but in a way, it is an acknowledgement of hidden dangers in the process of creativity and the need to seize the opportunity to open up the field of vision and spend a little more time to boost creativity in modern dramas. She cites herself as an example. Unlike before, Huang Lan now pays more attention to modern and realistic themes since today's society is more diverse than in the past, giving her more material to draw upon. She now plans to produce TV dramas that focus mainly on relationships, family and love. With how strict China's broadcasting regulations are, I doubt they can get too creative with their modern dramas. I personally hate most of the modern dramas we are getting that are filled with products placements. Pretty newbies that cannot act well. extended draggy story lines to sell for eps... Many modern dramas are polluted by investors/sponsors influence. I don't think that 40/60% rule is truly a bad idea. Probably refreshing the contemporary genre since that one surely needs a bit more good scripts instead the typcial Mary Sue plot or First Love theme. Hopefully also will give more actors in their 30's a chance.